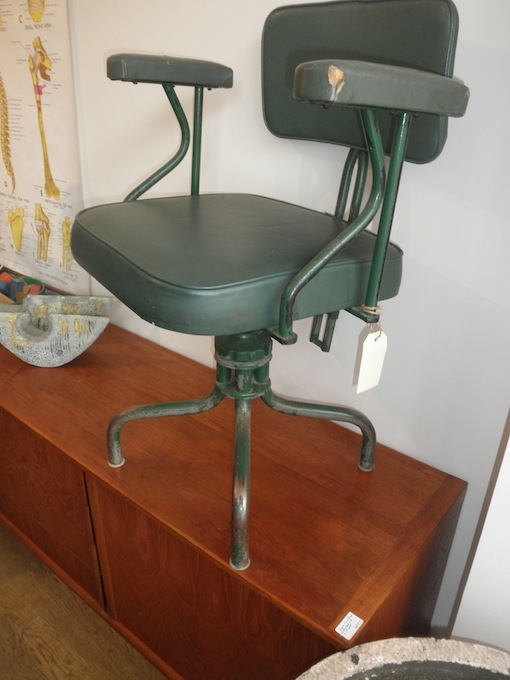 This super cool industrial office chair is height adjustable and swivels. It has a great distressed green paint finish on the frame and a matching green vinyl cover. It is surprisingly practical for a vintage industrial piece.